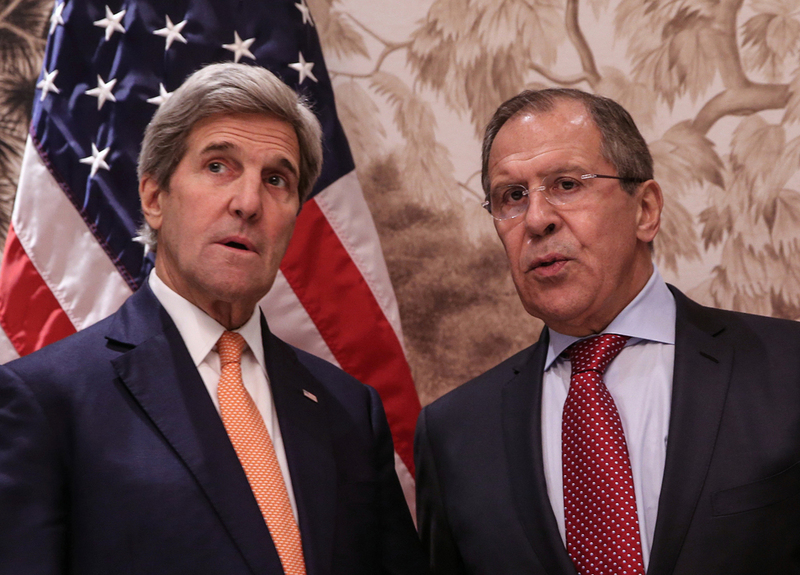 Russian Foreign Minister Sergei Lavrov and U.S. Secretary of State John Kerry. Russian Foreign Minister Sergei Lavrov and U.S. Secretary of State John Kerry spoke by telephone on May 29 to discuss joint operations in Syria, the situation on the Syrian-Turkish border and Washington's promises to draw a distinction between the opposition and al-Nusra terrorists, the Russian Foreign Ministry said. "The foreign ministers continued to discuss the situation in Syria and the Russian proposals to hold joint operations against terror groups operating there and other illegal armed formations which do not observe the ceasefire. Lavrov reiterated the need for swift closure of this country's border with Turkey, from where militant infiltration continues, and fulfillment of Washington's promise to draw a distinction between U.S.-linked Syrian opposition groups and Jabhat al-Nusra terrorists, to which the truce does not extend," the Russian ministry said on its website. The parties agreed to intensify work with all Syrian sides and concerned nations in order to ensure strict implementation of International Syria Support Group decisions and the United Nations Security Council Resolutions 2254 and 2268. The discussion also included other pressing international issues such as Ukraine, as well as some of the issues concerning the bilateral relationship. The conversation was held at the U.S. initiative, the Russian ministry said.